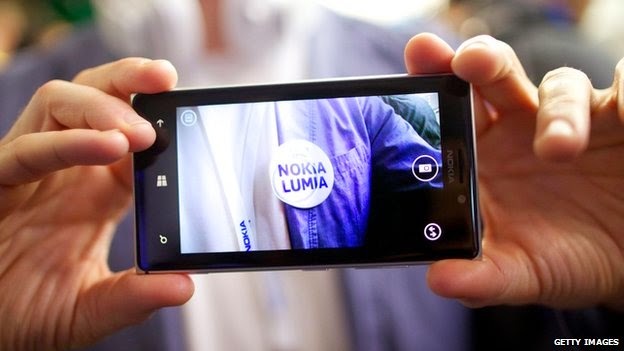 New Nokia Lumia smartphones will instead by known as Microsoft Lumia, the company said. Nokia's non-mobile division, which is not owned by Microsoft, will continue to use the name. The mobile operation was bought by Microsoft in April in a deal worth $7.2bn (£4.6bn). Since then, Microsoft has quietly shifted away from the Nokia brand. A post on Nokia France's Facebook page confirmed the branding shift. The renaming will roll out globally in due course, Microsoft has said. The announcement comes despite Microsoft agreeing to a 10-year deal to use the Nokia name on mobile products.